The first 5 challenges are pretty new to me. 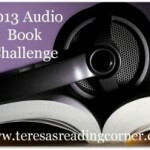 I did the Audio Book challenge last year for the first time since I was driving 3 days a week over an hour away for work. While I did complete the 6 books I signed on for I only reviewed one of them. Mostly I listen to the Dresden Files and I have promised a dear friend that I will catch up this year so I hope to be able to manage Flirting – Listen to 6 Audio Books (2013 Audio Book Challenge). The E-book Challenge is completely new to me. I got a Nook for my birthday last year and have been reading on it but honestly I am a Luddite and still prefer my bindings and pages. This year though I have a number of books sitting there waiting on me to read them. I hope to get through The Parasol Protectorate and The Iron Fey series as well. That only should get me to my goal of Floppy disk – 5 e-books (2013 EBook Challenge). This next one will be pretty hard. I specifically picked it to push me out of my comfort zone. 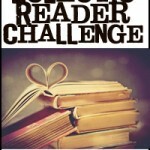 The Eclectic Reader Challenge has you read one from each of the following categories: Translated fiction, Historical mystery, Romantic suspense, Made into a movie, New Adult, Urban Fantasy, Dystopian, Memoir, LGBT, Action Adventure, Humour, Published in 2013. Now some of these will be easy, There is a Neil Gaiman coming out this year and I am dying to read Warm Bodies. But others like New Adult and Action Adventure will be more difficult (2013 Eclectic Reader Challenge). As anyone who has been here more than twice knows I love a love fairy tale retelling so I was very happy to find this next challenge. Since I read a ton of YA and Middle level books the level I picked should be easy but you never know. 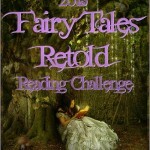 Cobbler 1-3 books (2013 Fairy Tales Retold Reading Challenge). And the last challenge in this bunch I has signed up for 2 years in a row and never finished. This year so help me I will read 5 steampunk books. I don’t know what the issue is. I love the one I do read so why don’t I finish the series? 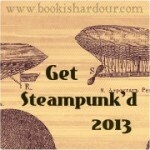 This year I am Geared up – Choose 5 books to read (Get Steampunk’d 2013). I’m glad to have you joining me in the Eclectic Reader Challenge – good luck! I am excited as well. Like I said, trying to break out of the rut I have read myself into.